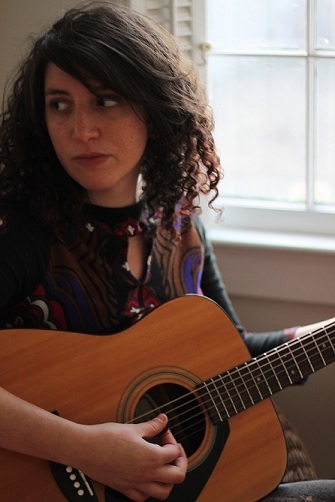 While Zan Strumfeld carries her brand of stripped-down folk with her soft, Spektor-like voice, there is an endearing and subtle vexation on the horizon of her vocal that creeps through the sweetness of the piece and pulls the listener into her world of raw emotion. This quality is unique to Strumfeld, an Albany-based folky singer/songwriter. Strumfeld – who has an excellent name for a person who plays the guitar – released her third EP, Someone New, back in April of this year. The album is a testament to simplicity. Strumfeld does not bedizen songs with electronics, pounding percussion, or superfluous instrumentals. Instead, she garners acoustic power with her multifaceted voice and some well-placed harmonies. The result is self-described “lullabies for the lonely lovers” and this one-sentence synopsis is quite apt. Please excuse the contradictory nature of this description, but there is certainly a warm loneliness that penetrates the plucked strings of “Carry On,” a song that urges listeners to “learn to carry on.” Strumfeld’s piece is so intimate that it’s as if she is with you performing it live, and this local element adds to the songs potency. “Someone New” puts Strumfeld’s voice on full display – abundant and delicate. The song may be a lullaby, but it carries a soothing ardor that keeps the listener hanging on each intonation. Check out more about Strumfeld on her Bandcamp and Facebook.